Worldwide some 4500 species of mammals are known today, of which approx 450 species occur within the Indian subcontinent, and 1220 species of birds recorded India hosts some 12.5% of the world's birds. Pick up the camera ! Shoot ! The moment lives ! The animals live!, so pick up your camera and come to the Jungles which Kipling immortalized, yes, "Natural and Wild India awaits discovery". Tiger, Snow Leopard, Leopard, Lion, Rhino, Elephant, Bears, and some real exotic birds await you to shoot them with your camera. 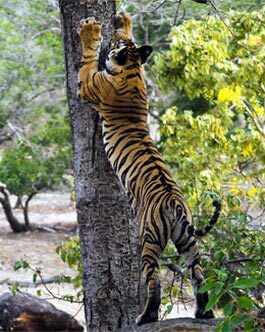 Join the Wildlife Photographic Safari...accompanied by an Indian wildlife expert. All life is deemed sacred, each creature has its place and function in "Nature's mosaic".Come to India where one finds a fascinating diversity of "wildlife". Unique, mysterious and forever fascinating, the India spans a diverse variety of geographical terrains which are a varitable treasure-house for animals and birds. One finds a rich variety of species of flora and fauna.Wildlife abounded all over the Country, but in order to protect the wild species and to enable visitors view them in their natural habitat, India has created special areas such as national parks and wildlife sanctuaries. India with around 89451 species of fauna has one of the richest natural heritage in the world. It is of no surprise that wildlife watching is one of country's prime tourist activities. There are 459 threatened species flora and fauna plant (244), mammals (86) Birds (70), reptiles (25) and amphibians (3), Fish (8) and Invertebrates (23). Some wildlife Sanctuaries offer elephant-back safaris, which are often better way of getting closer to nature than jeeps. Jeep safaris more widely available and although not as romantic as those on a pachyderm, are still rewarding. 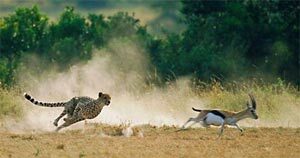 India wildlife safari offers packages to the National Parks and Sanctuaries along with some other Major and well-known tourist destination to suit your budget and interest. See amazing animals and beautiful birds at different bird sanctuaries and National Park in India. India wildlife safari is a site dedicated to the wildlife of india with numerous tour packages, catering the requirements of tourists from all over the globe. We have some very special tours on Indian wildlife Sanctuaries, Parks and Resorts with various wildlife and birding tour packages. Whether you are in a desert or on the high steep slopes or within the dense forests, the best way to explore off beaten tracks of the natural world is through a safari. India is blessed with some of the most varied and adventurous wild sites. There can be no better way of experiencing life in the desert than through a journey into its hinterland on camel back. Similar experience visitors can enjoy among the grasslands, on the back of an Elephant. A more recent, and exciting, variation of the camel safari is the horse safari. Horse safaris are usually conducted in the hilly terrains and forested countryside and are ideal for taking to the trail. Next comes Jeep Safari, the best option one can have to explore the insides of a forested land. Wildlife Safari means exploration of the lesser known wilds, but Lion Safari!! Yes, this safari is basically done sighting a Lion, while you are in a jeep on an elephant back. And the major attraction about this kind of a safari is ofcourse, watching the Lions in their natural habitat. 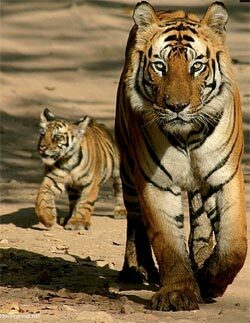 Why Wildlife in India? Listen to the appeal of nature: Locations shrouded by hills, waterfalls and valleys are wonderful tryst with natural beauty. Far from the vociferous city life, the best a vacationer can do is to rush to any of numerous eco locations ranging from Himalayas to arid, and soak himself into the natural charm.